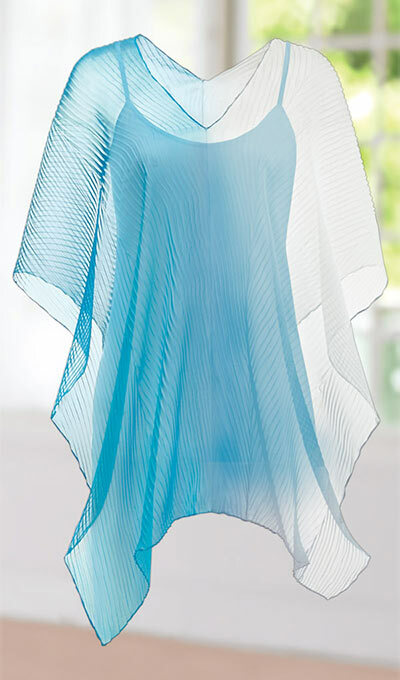 Slip our vibrant poncho-style Asymmetric Sheer Ombré Cover-Up over your swimsuit or cami and go! Made of heat-set sheer accordion polyester and sporting a chic ombré pattern, it features a beautiful, billowy butterfly-wing hemline for added style and flair. Gentle wash. Imported. Approx. 36"l. One size fits most. Hurry! Quantities are limited!